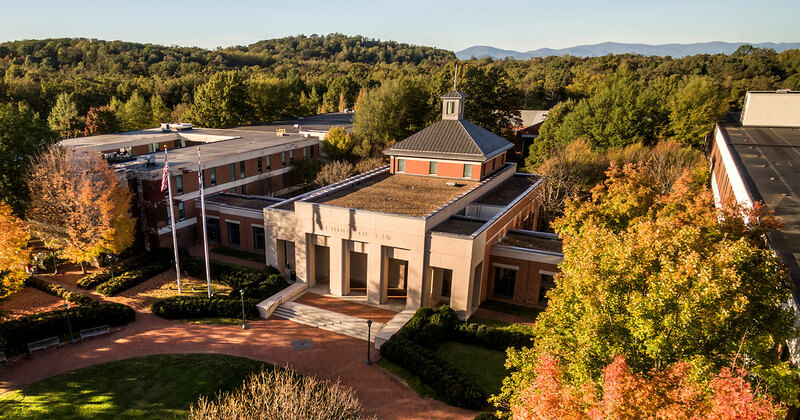 Founded in 1819 by Thomas Jefferson, UVA Law is the second-oldest continuously operating law school in the United States. 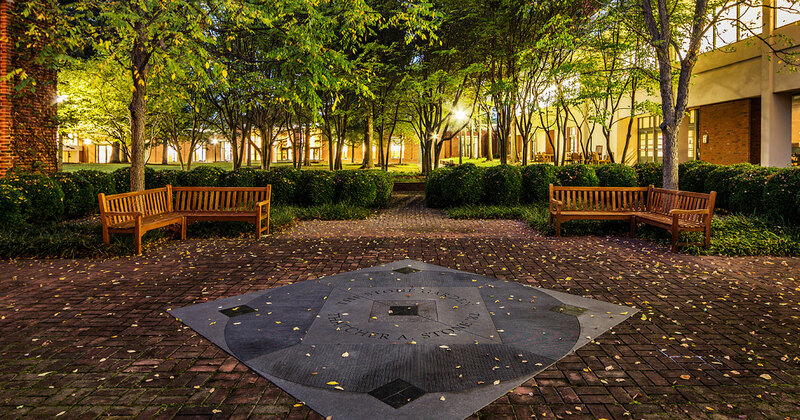 Surrounded by hills and the Blue Ridge Mountains, Charlottesville also boasts a metropolitan area of 230,000. Outdoor activities and gourmet dining are equally accessible. 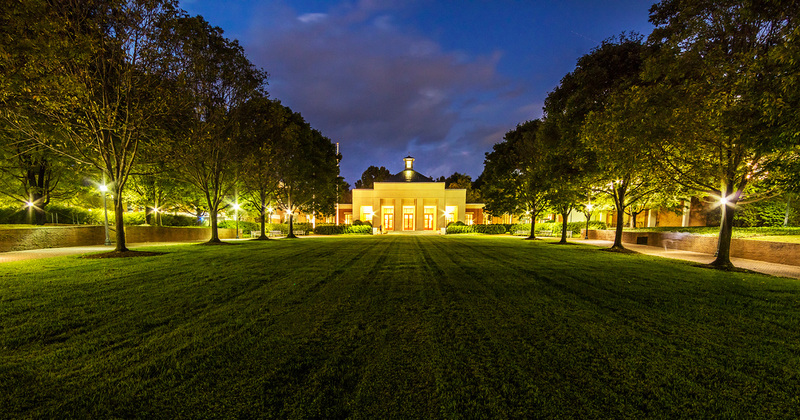 The Holcombe Green Lawn was designed to mirror the Lawn by the Rotunda at the University of Virginia. 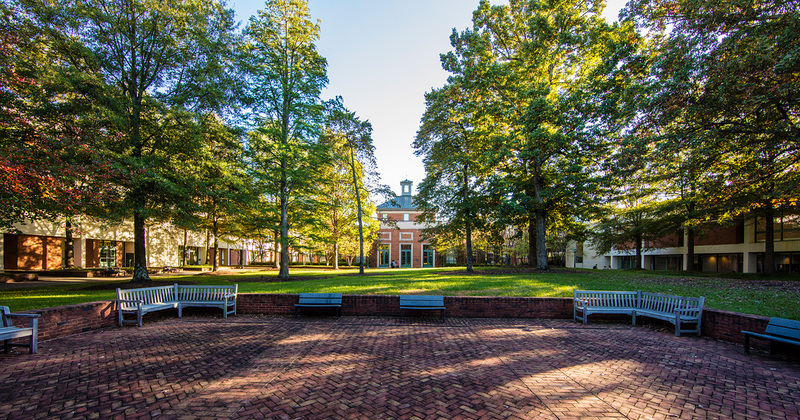 The interior of Clay Hall, looking toward Withers-Brown Hall. 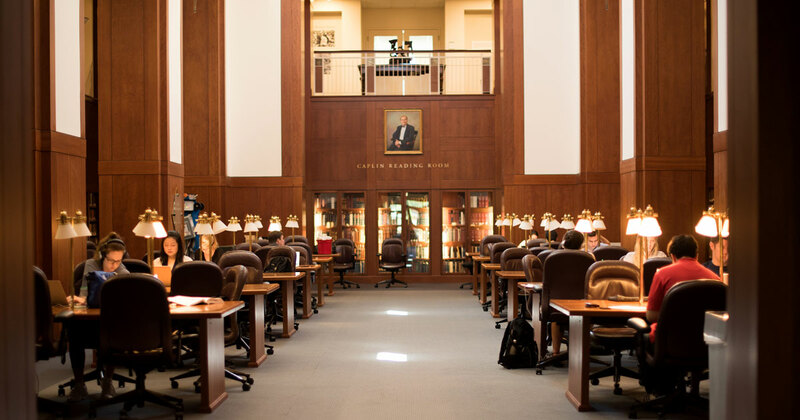 The Arthur J. Morris Law Library is a favorite study space for students. 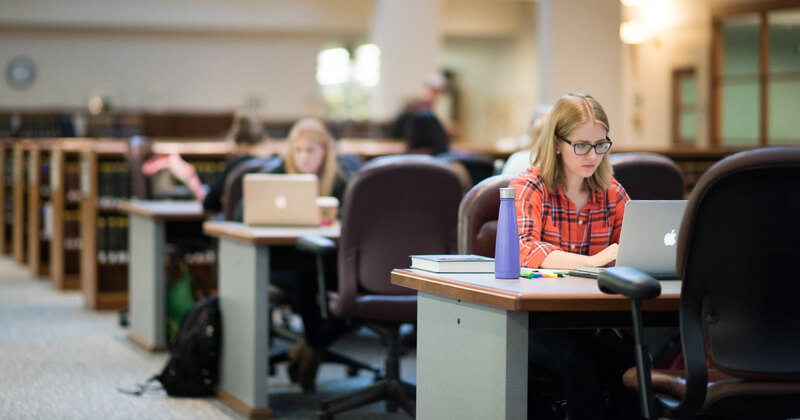 The second floor of the library offers more space to study. 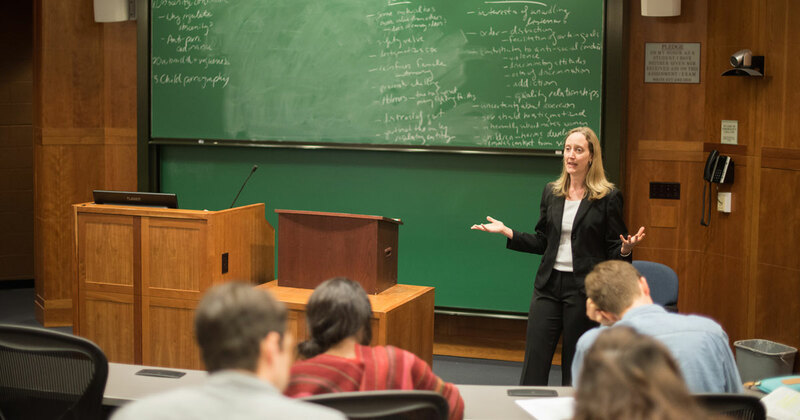 In a Withers-Brown Hall classroom, Professor Leslie Kendrick leads her class. 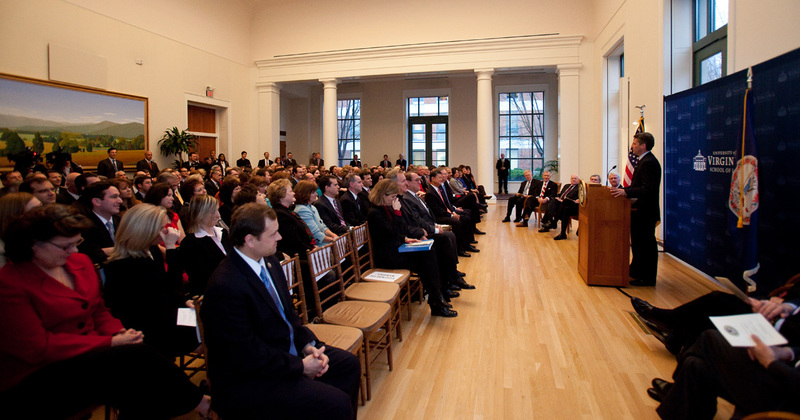 Many events take place in Caplin Pavilion. 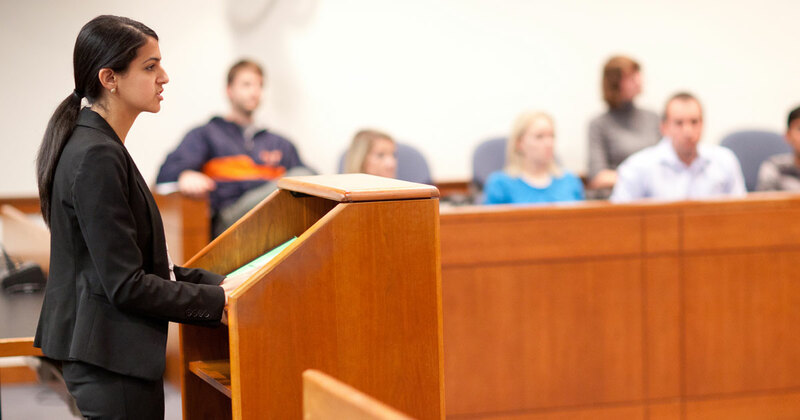 Here, Timothy Heaphy '91, then serving as a U.S. attorney for the Western District of Virginia, visits the Law School. Spies Garden offers a view of Caplin Pavilion. 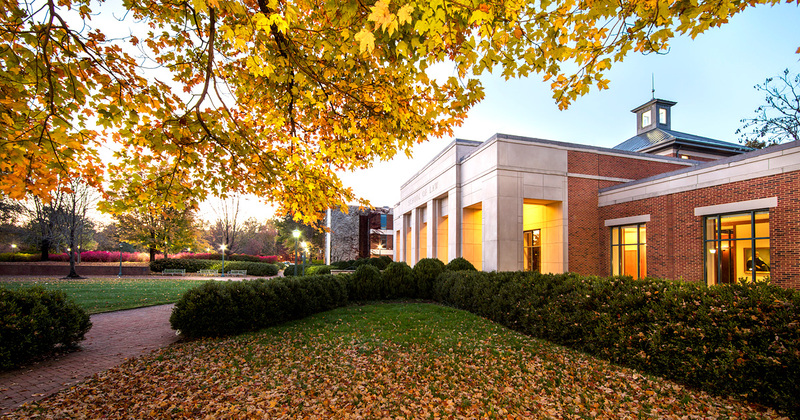 This view of Purcell Garden shows the new Karsh Student Services Center. 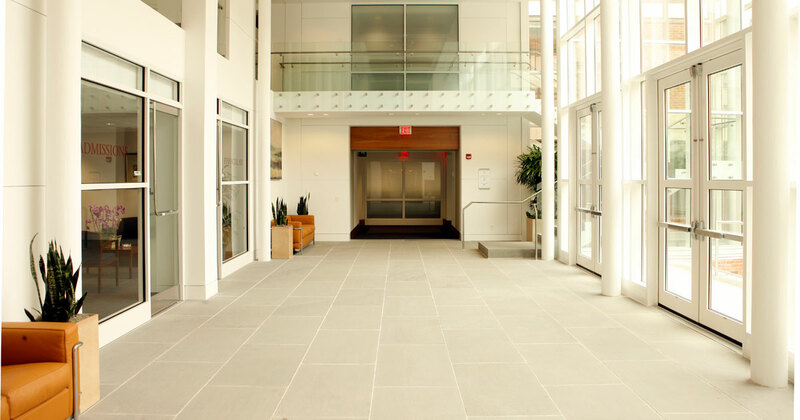 The Karsh Student Services Center houses the Admissions and Financial Aid offices on the first floor (pictured above) and the Career Services, Public Service Center and Judicial Clerkships offices on the second floor. 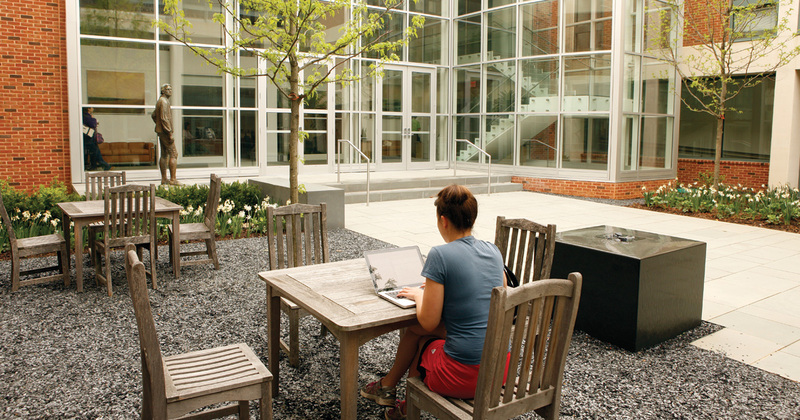 Scott Commons is the focus of student life at the school. 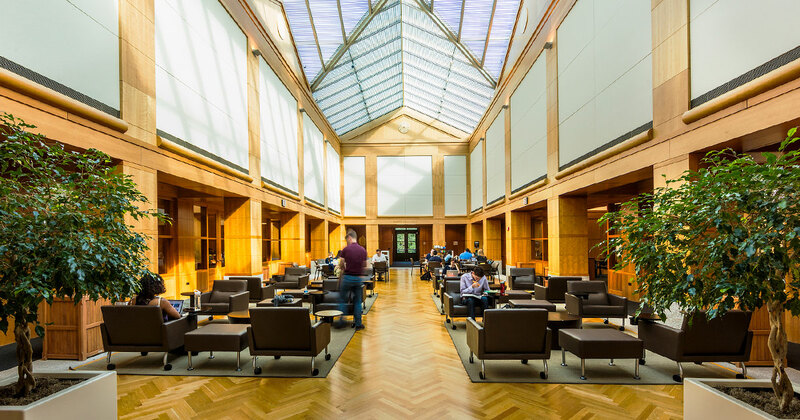 To the right is a dining room and to the left is a study space. 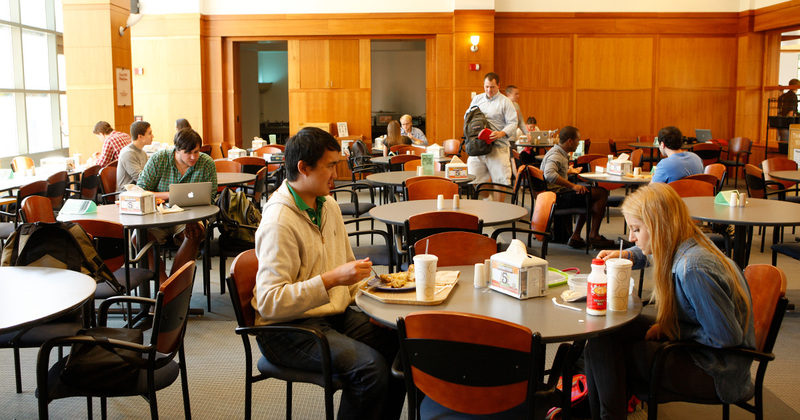 The Class of 1950 Dining Room offers hot meals, made-to-order sandwiches and takeaway items during the school year, and has a Greenberry's Coffee Bar. 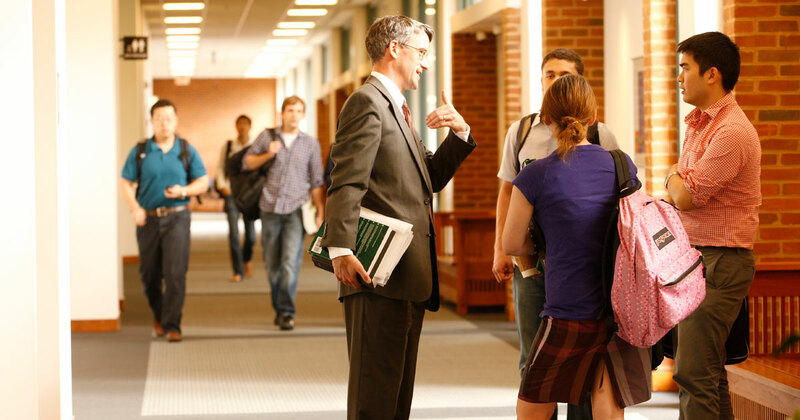 Professor Caleb Nelson talks with students in Slaughter Hall. 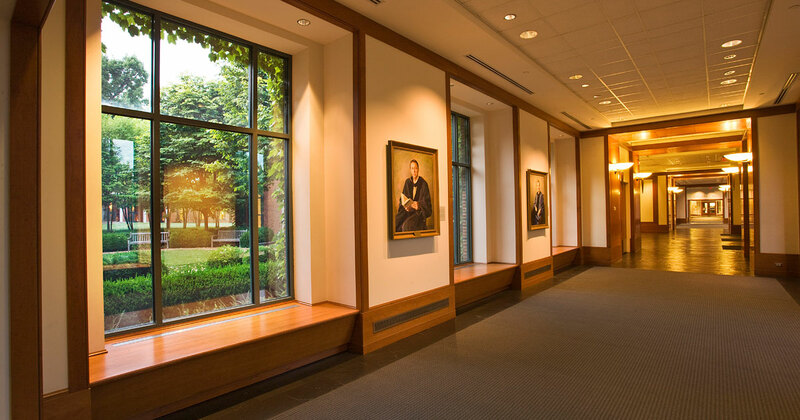 Slaughter Hall has moot courtrooms that are often used for oral advocacy or trial advocacy courses. 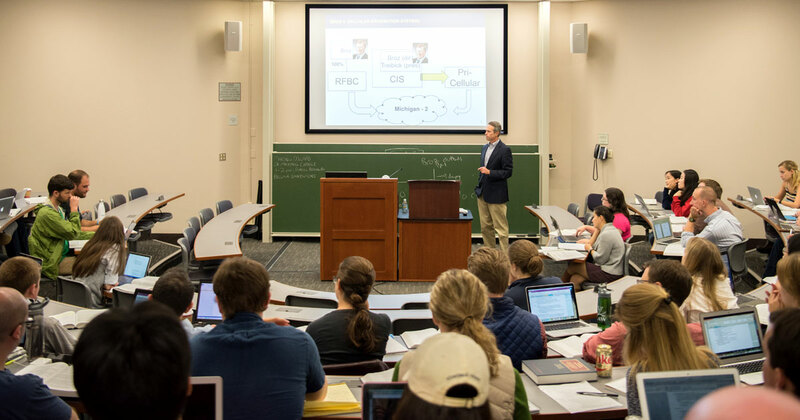 Professor George Geis leads a class in a larger classroom in Withers-Brown Hall. 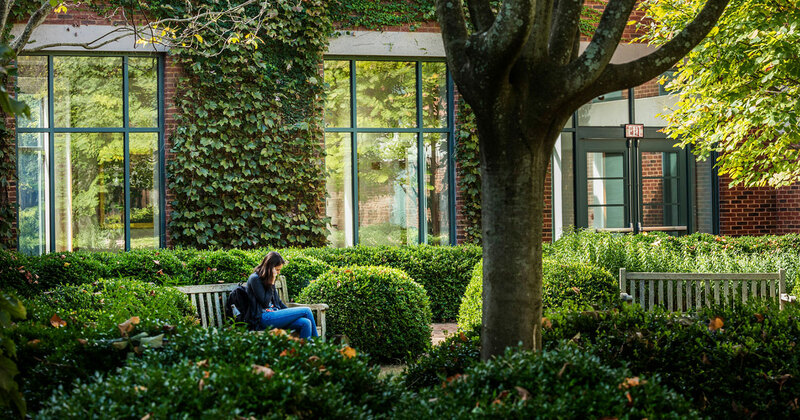 Spies Garden offers several benches that students use to study or take a break. 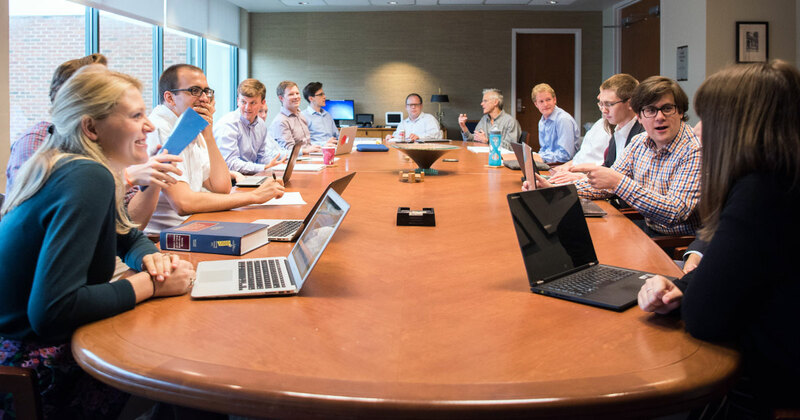 The Supreme Court Litigation Clinic meets in the Caddell Conference Room in Slaughter Hall. 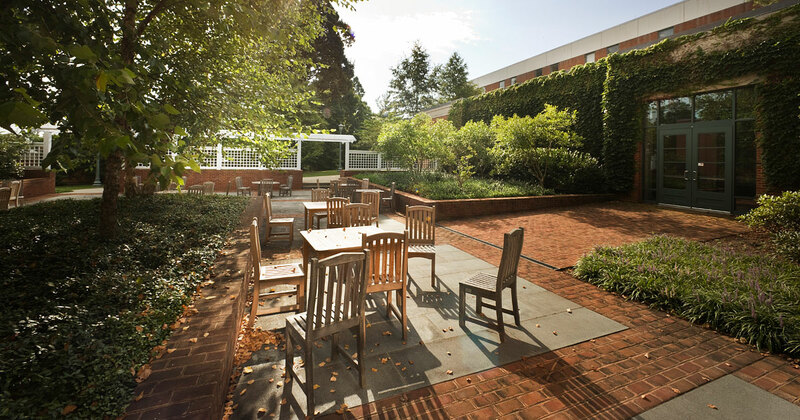 The Class of 1977 Terrace is another area to eat, relax or study. 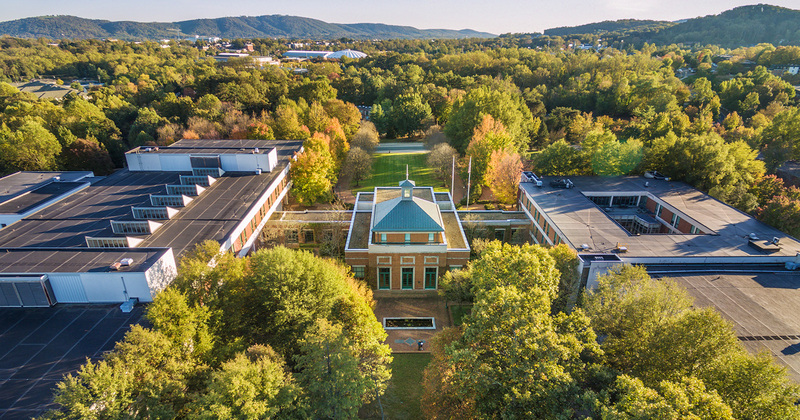 This view shows an aerial of the Law School from above Spies Garden.